Here's a game that's suitable for Eli, the barrow boy, to play while heading out to see the Infanta. And, you know, for you, too. 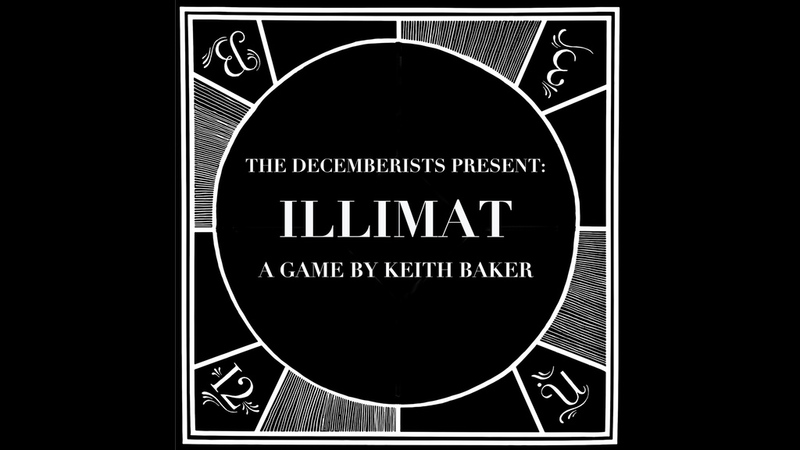 During a photo shoot, The Decemberists asked illustrator Carson Ellis to create a strange game board that it would look like the band is playing. The shoot went well, but the idea of that game board has always been in the back of the band's mind. Well, now they've decided to turn it into a game and they've enlisted game designer Keith Baker to come up with a game to go with it. And come up with a game he has. 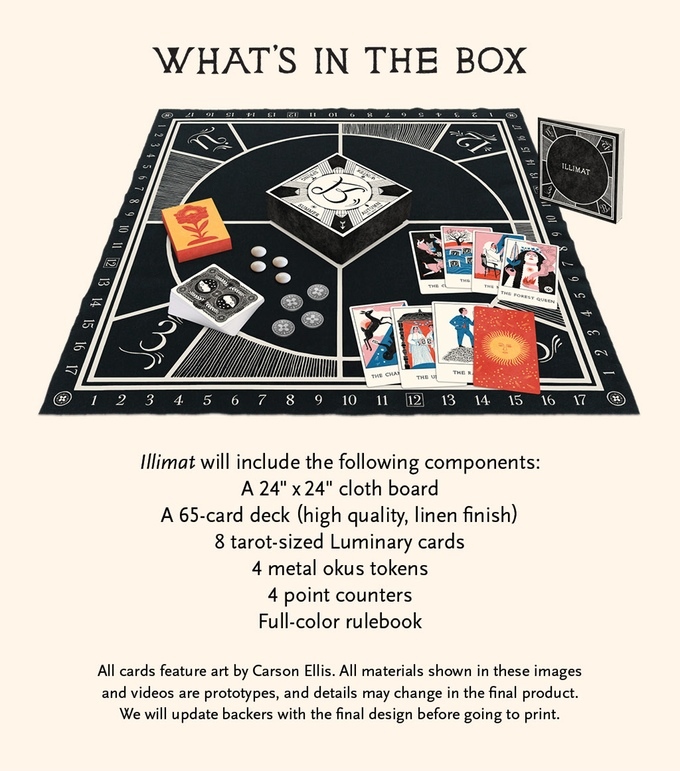 Illimat is now on Kickstarter. The game comes with a 2'x2' cloth game board, a 65-card deck of cards, 8 tarot-sized Luminary cards, 4 metal okus tokens, 4 point counters, and (of course) the rulebook. Seems just the sort of game to play while wearing a suit cut in an 1860s style and wearing a monocle. The Kickstarter campaign's doing rather well. They're closing in on 4x funded with still 28 days left to go.